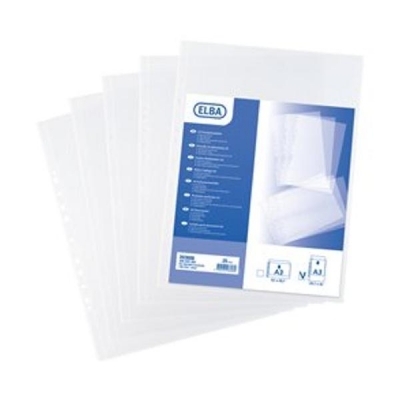 Polypropylene pockets to help protect documents. Multi-punched reinforced filing strip. Size: A3. Portrait.